Please join us for a special screening of the movie Blood Sweat and Beer a film by Chip Hiden and Alexis Irvin. The proceeds from this screening will go to support the new OBC Scholarship to fund continuing education in brewing. 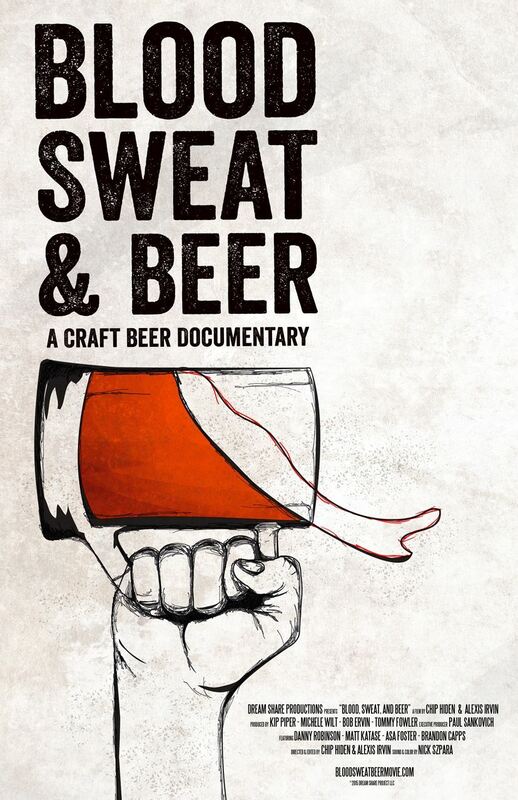 Blood, Sweat, and Beer is a feature documentary about the explosive growth of the craft beer industry and the dramatic journeys of two start-up breweries. The film follows a trio of 23-year-olds as they struggle to start The Brew Gentlemen Beer Company in Braddock, PA. Matt, Asa, and Brandon hope their brewery will help this once-prosperous steel town bounce back from decades of neglect, violence, and population loss. The film also tells the emotional story of Danny Robinson, a boardwalk brewery owner and restaurateur whose empire is threatened by an aggressive trademark lawsuit that could leave him penniless. Four entrepreneurs, two brand new breweries, and ultimate goal: to quench the thirst of the craft-craving masses. Here's the link to McMenamins Movie Page. We will be having a panel of local Brewers discussing the movie and their recent startups in the area.